We all have some "knots" in our lives - and Mary can untie them! The devotion to Mary, Untier of Knots has become more popular ever since Pope Francis encouraged the devotion in Argentina, and then spoke about it during his first year as pontiff. The theology of the devotion actually goes back to the second century. Saint Irenaeus wrote that, "The knot of Eve's disobedience was untied by the obedience of Mary; what the virgin Eve bound by her unbelief, the Virgin Mary loosened by her faith." 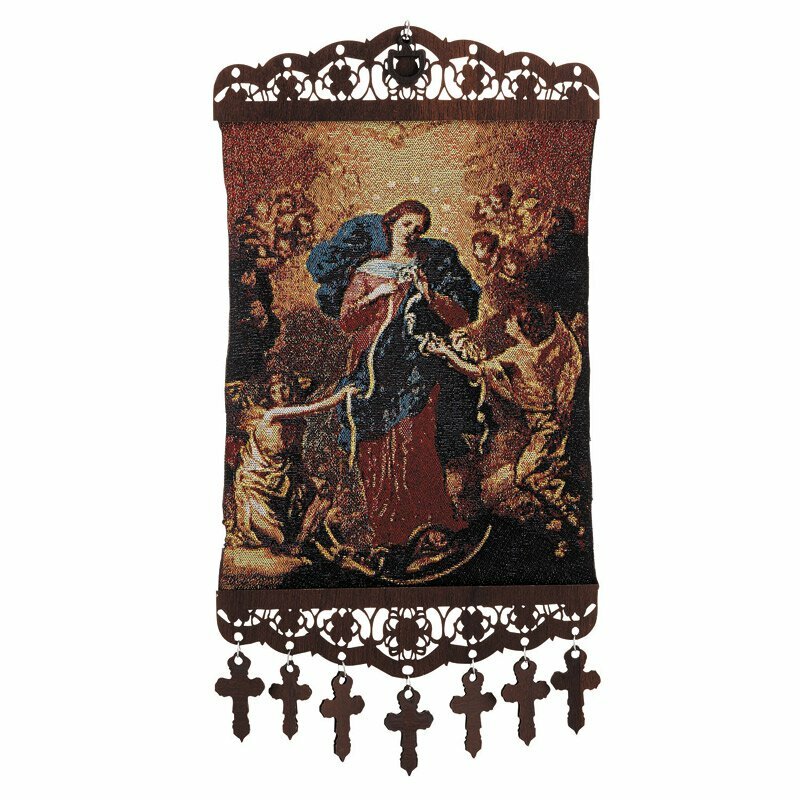 This tapestry hang beautifully portrays the Blessed Virgin, holding a knotted rope, surrounded by angels. Expertly woven using traditional colors and gold accenting.